Premium protector against potentially harmful insects including mosquito&apos;s who may carry the Zika, West Nile or other illness causing virus. The great outdoors is better when you're together. 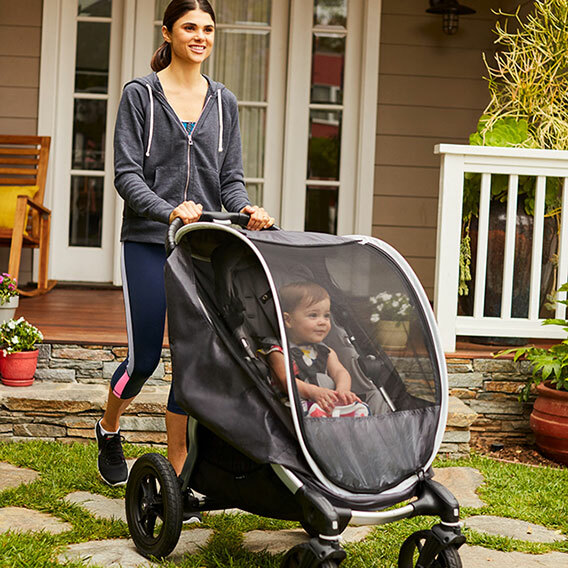 Give your child a cool, shady hideaway on your picnics or trips to the park with this retractable cover for your stroller. The breathable mesh lets the fresh air in while keeping out bugs, wind, and germs from overly friendly strangers. A retractable rain and sun cover helps block damaging UVA/UVB rays and can be tucked away in a zippered pocket when not in use.